We're big fans of Microsoft's Surface family of products and have used every entry since the very first Surface tablet. Spending thousands of hours with Surface, we've accumulated bags of experience to recommend the right Surface for you. The latest Surface Pro is a stunning Windows 10 device. It's one of the best tablets you can buy right now running Microsoft's OS. It's portable, capable (depending on spec) and can even be used as a notebook. Surface Book 2 is pretty much the ultimate Windows 10 PC. It's an excellent notebook and tablet, depending on your needs. There's even the option for a dedicated GPU, and yes you can even game on it. It can get very expensive though. The Surface Pro 6 and Surface Book 2 are two very different devices, targeting two very different groups of consumers. 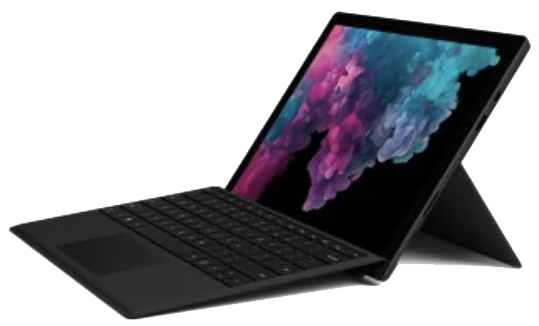 If you prefer a tablet experience, don't need to do inking, won't use the device with a physical keyboard much and would like to save some cash, Surface Pro 6 is the better option. Should you want to go all out and enjoy the signature Windows 10 on Surface experience, nothing beats the Surface Book 2 — so long as your pockets are deep for the more expensive configurations. Both devices offer similar specifications, which shouldn't come as much of a surprise. 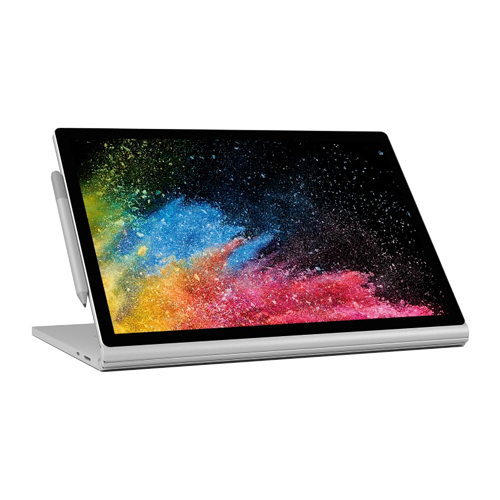 The Surface Pro 6 is Microsoft's featured tablet and the Surface Book 2 is the company's powerful notebook. Both cross paths with regards to form factor and device category, and as such offer similar internals. Surface Book 2 is the more powerful device, without question. Both devices can be configured with the same Intel Core i7 processor, but the Surface Book 2 has the advantage of a dedicated GPU and better overall computing. It's designed for extended power use, while the Surface Pro is more of a tablet you can use for intensive tasks irregularly. Because there's no dedicated GPU inside the Surface Pro 6, you'll need to rely on the Intel iGPU, and the Surface Pro 6 doesn't have Intel Iris graphics. This isn't a decision made by Microsoft, but Intel with its 8th-gen line-up of processors. If you need to rely on graphics processing, the only choice here is Surface Book 2. Surface Pro 6 is more versatile, being an incredibly powerful tablet — you try running the full desktop Adobe Photoshop suite on an iPad — and while it does offer a battery life of around 13 hours, the Surface Book 2 edges out in front with upwards of 17 hours. It's not a huge difference, but worth considering if you're often found without power outlets. Something to bear in mind is pricing, which is where the Surface Pro 6 wins big time. The tablet starts from just $900, while you can expect to pay $1,150 for the Surface Book 2. Surface Pro 6 is almost as good as the Surface Book 2 and can even be kitted out with better internals than the base model Surface Book 2, but Microsoft's 2-in-1 notebook is simply better. Microsoft's Surface Pro 6 isn't a slouch, but a powerful tablet with massive potential in the right hands. It's also the cheaper of the two devices, when not including the optional Type Cover and Surface Pen. If you're all about a lighter, tablet-like Windows 10 experience, the Surface Pro 6 is likely the better choice. Surface Pro 6 comes an Intel Core i5 or i7 CPU, improved thermals, and a whole new black color option. Surface Pro 6 is all about portability. It's a tablet first, laptop second and should be considered as such. Should you be after a Windows 10 tablet that can do everything you need without requiring a notebook or desktop PC, this is it. Microsoft did so well with the Surface Book 2, we gave it a full five-star rating and raved about all of its features. Sure, it's the more expensive device in this comparison, but you get so much more in terms of configurations with the addition of discrete GPUs, making it a killer notebook. You can do pretty much everything on the Surface Book 2, whether you need to game, ink or be productive. Microsoft did a stellar job with the original Surface Book and the second generation is even better. You can configure this notebook come tablet with a dedicated GPU and powerful Intel processors that even allow for some gaming.